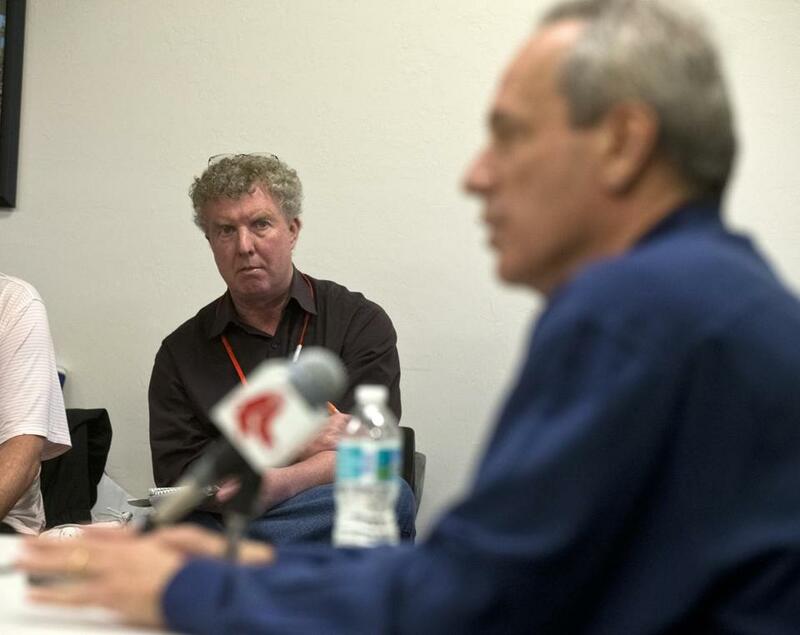 Dan Shaughnessy at a news conference with former Red Sox chief executive Larry Lucchino in February of 2013. Dan Shaughnessy has probably spent more time at Fenway Park than he has at his home in Newton, chronicling the Red Sox for the Boston Globe through times good and bad. His take on the team has been a must-read for years, even for those who disagree with his opinions. Now Shaughnessy is headed for the Baseball Hall of Fame, having been named winner of the prestigious J.G. Taylor Spink Award on Tuesday. Members of the Baseball Writers’ Association of America recognized Shaughnessy for meritorious contributions to baseball writing during his career. He is the fifth Globe writer to win the award, joining Harold Kaese (1976), Tim Murnane (1978), Peter Gammons (2004), and Larry Whiteside (2008). Hurst, who is in town to participate in The Tradition, wishes he had never left the Red Sox. Shaughnessy said the award was the highlight of his career. Shaughnessy worked closely with Gammons and Whiteside, and being in their company among Spink Award winners was particularly meaningful for him. Like Gammons, Shaughnessy is from Groton. Shaughnessy has a long history of covering baseball. A 1975 graduate of Holy Cross, he covered the Orioles for the Baltimore Evening Sun from 1977 to 1978, then became a national baseball writer for the now-defunct Washington Star from 1979-81. Shaughnessy joined the Globe in 1981 and worked as the national baseball writer from 1986-89 along with various stints covering the Red Sox as a beat writer. As a general columnist, Shaughnessy has written countless Red Sox pieces that reflected New England’s joy, exasperation, and undying passion for its team. Shaughnessy remains a regular presence on the Sox beat, writing about the team from spring training through the end of the season, home and away. 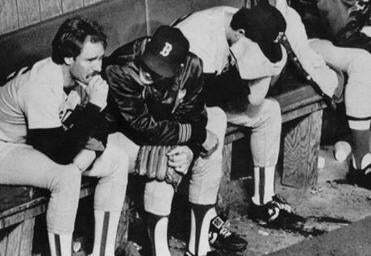 Shaughnessy developed good relationships with two Red Sox legends, Ted Williams and Carl Yastrzemski. Shaughnessy was the only newspaper reporter Williams spoke to for many years before passing away in 2002. Shaughnessy’s columns on Williams are among his most memorable. Shaughnessy has written nine books on baseball, including “The Curse of the Bambino” in 2004 and “Francona: The Red Sox Years” with former Red Sox manager Terry Francona. He has been named the Massachusetts Sportswriter of the Year 11 times, and nine times has been judged as one of American’s top-10 sports columnists by the Associated Press Sports Editors. He has won numerous APSE awards and is a regular contributor to radio and television shows. Shaughnessy will be presented with his award on July 23 in Cooperstown, N.Y., as part of the Hall of Fame’s induction weekend. He will then be included in a permanent exhibit that celebrates the work of broadcasters and writers. The Spink Award, named for the longtime publisher of The Sporting News, has been presented since 1962. The late Furman Bisher of the Atlanta Journal-Constitution and Spanish syndicated columnist Juan Vene were the other finalists. Shaughnessy received 185 of the 417 votes cast. Bisher finished second and Vene third.